Mr. Graham has more than thirty years of investment banking experience with both public and private companies, encompassing financings, mergers & acquisitions, and strategic advisory services. Prior to founding CrossHill, he was a Principal of the investment banking firm Kidder, Peabody & Co., which was a subsidiary of General Electric Capital Corporation. Mr. Graham was the Regional Director of the Direct Investment Group in the Midwest Region (Chicago) and the New England Region (Boston). He was responsible for financings in many industries, including Information Technology, Biotechnology, Cable, Real Estate, Broadcasting, Utility Finance, and Equipment Leasing. Prior to Kidder, Peabody, Mr. Graham held positions with Merrill, Lynch & Co. and Ernst & Young. Mr. Graham was the founder of Prestwick Companies, the assets of which, were spun-out to create Prestwick Pharmaceuticals, Inc., which was sold to Biovail Corp. Mr. Graham is a founder of ACell Inc., a regenerative medicine company. He is the General Partner of CrossHill Georgetown Capital, LP and CrossHill Debt II, LP. Mr. Graham is Chairman of Stoneacre Acquisition Company / Official NASCAR Membership Club. In addition, he is the Chairman of the Board of Transaction Network Services, Inc. (NYSE:TNS), Central Park Credit Bank and the Washington D.C. International Film Festival. 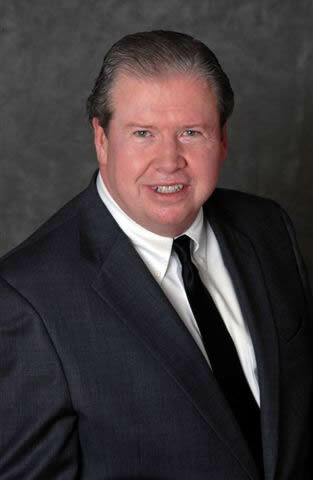 Mr. Graham was a board member of Top Layer Networks, Inc. and negotiated the sale of Top Layer to Corero plc. Mr. Graham is a graduate of Georgetown University and received an M.B.A. from the University of Chicago.